Description: Two antique world maps on one sheet. 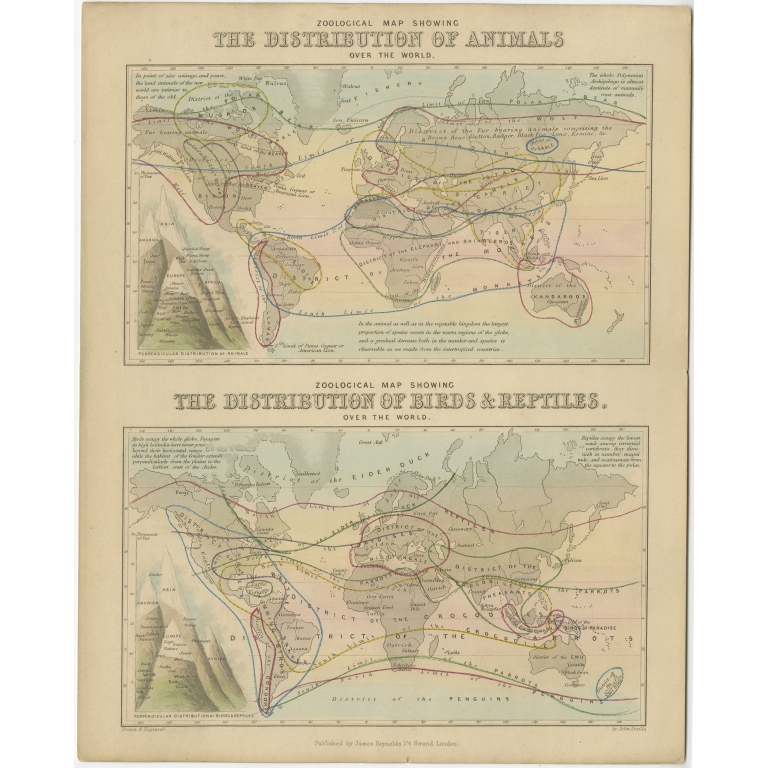 The upper map shows the distribution of animals over the world. 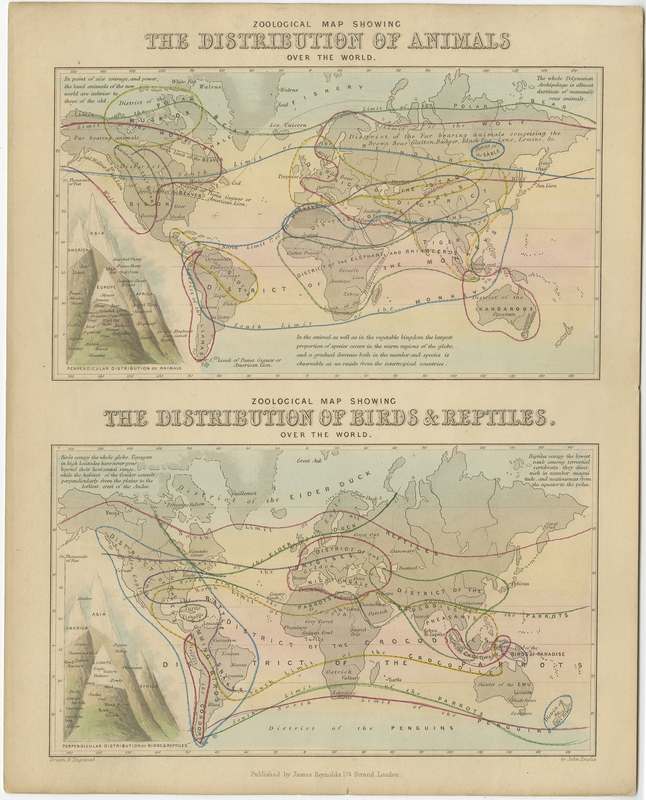 The lower map shows the distribution of birds & reptiles over the world. Originates from 'Geographical Diagrams '.